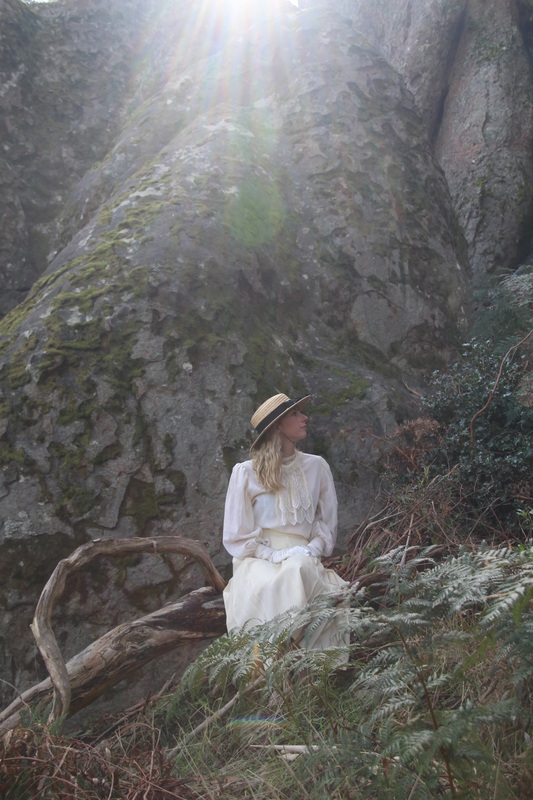 Picnic at Hanging Rock was presented by Purely Pensive Productions on June 26-28, 2014 at the Mechanics Institute Performing Arts Centre, Brunswick. For a group of Australian schoolgirls, a romantic Valentine’s Day outing ends in an intriguing mystery. What has happened to the three seniors and the mathematics teacher on top of the jagged peaks of Hanging Rock? Based on the runaway best-seller, this exciting play explores a baffling disappearance which takes its toll on a small community in the Australian countryside. Who in the large cast of fascinating characters is responsible for the crime? Is it Mrs Appleyard, the matron and headmistress of the college who nips brandy on the sly? Does the young, beautiful French teacher Mademoiselle De Poitiers know more than she will say? And what about the two young men who watched the girls climb the mountain? Or maybe one of the eight remaining schoolgirls conspired against the others…. A delicate look at crisis, greed and honesty at the turn of the century.